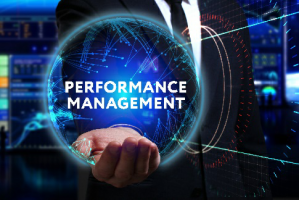 A search on “performance management” found nine PA Times columns posted in 2018 and a total of 45 pages listing prior columns on the subject back to 2010 when the website was launched. After decades of attention, one might assume that performance is well managed and public employers are ready to move on to more difficult problems. Recently the federal Government Accountability Office released another in a series of reports on Managing for Results (GAO-18-60). The report focused on the use of performance data in decisionmaking. They have studied the use of metrics every few years and now report that the use of metrics has declined, not improved, over the past decade. In reading a couple of the recent columns it occurred to me a core problem has not been fully addressed. There are two very different and surprisingly separate groups that discuss performance management. One is based in technology and measurement; the second is based in human resources (HR). Each has its own literature, jargon, experts, conferences etc. The high walls of government’s silos make collaboration difficult. But if they do not work together its highly unlikely the performance problem with ever be resolved. Recent books (including mine) along with research confirms that under the right circumstances employees can and will perform at significantly higher levels. A study some years ago concluded it’s reasonable to expect gains of as much as 30 to 40 percent. The study identified a list of “action levers” linked to better performance. Gallup’s research along with other studies confirms the potential. Research shows the answer lies in empowering employees to more fully use their capabilities. I have the advantage of experience in two corporate HR jobs where I was responsible for managing the executive and employee performance systems. One was in a conglomerate, the other in health care. I also managed an executive compensation consulting practice in Manhattan. Metrics are central to managing companies and executive rewards. For executives and managers in business as well as in health care, there is no mystery; the process is based solidly on company and individual goals, with progress meetings typically every month. Reporting performance data to leaders is not performance management. Requiring manager/subordinate meetings twice a year is not performance management. It is not checking off boxes on an appraisal form. It is not the threat of denying a pay increase if an employee fails to satisfy expectations. It is not assessing performance relative to standards dictated by management. Its also not a system; it needs to be systematic, but it is a process. The problem is also not solved by installing a software package developed to facilitate the process. Technology is important but it’s only a tool. There are three or four core issues that can undermine the process. First, government has an all too common practice of promoting the best technicians to supervisory roles. Then its compounded by not providing adequate training and by not recognizing and rewarding those who prove to be the best. Second, historically government has relied on static, bureaucratic practices. Effective performance management requires trust and a willingness to try new approaches. Third, the recent focus on employee engagement has to be a management priority. Engaged employees perform at higher levels. Finally, many elected and appointed leaders have little experience managing in large organizations. Public policy issues are their focus, not better management. One of the tallest silos is slowly being dismantled. HR offices have historically been confined to the administrative sidelines through the management nostrums that have come and gone. HR commonly administers annual appraisals, but otherwise the office’s involvement is limited to dealing with the worst performers. However, over the past few years thought leaders in HR have defined a new role as a catalyst for improved performance. If government was able to start with a clean slate, this mystery would not be nearly as difficult to solve. No company would argue everyone is dedicated – but there are companies that year after year perform at significantly higher levels. That’s true in health care as well. In that clean-slate environment, employees want to contribute to their organization’s success. Although the attraction of public service has diminished, it can be rekindled. Employees broadly take pride in working for a highly regarded organization. They want to be valued and recognized for their contribution. Conduct an employee survey to identify the groups where resistance is possible and those where its already happening. Following with focus groups would be valuable. Expand the scope of offices like Baltimore’s CitiStat, assuming the office has been accepted. HR specialists should play a role. Improvement initiatives need a home. Task a team with reporting on proven practices to improve performance. A great resource is a study, “Management in America”, supported by the U. S. Census Bureau and available on the agency’s website. It replicates global research started a decade ago. Invest in the training managers need to enhance their management skills. It should start at the highest levels. Ideally the best should be rewarded for their success. Coaching for managers should be considered. Recognize and widely communicate success stories. People enjoy celebrating their successes. It strengthens working relationships. Simple ideas like bringing in pizza for everyone contributes to morale. A letter to a spouse recognizing an employee’s contribution is simple but appreciated. Involving managers and employees creates a sense of ownership and commitment. They can be counted on to solve the mystery. In regards to engagement at the “street” level, I think demonstrating the practical value of performance management to employees’ daily jobs is important as well. Demonstrating the time, effort, and resources it can save the people running the reports or mowing the grass is critical, anything to make it more concrete and less a concept that “management is making us do”.